A motorised rifle unit stationed in the Jewish Autonomous Region, Eastern Military District, has received the Borisoglebsk-2 electronic warfare complex. The complex is made up of several machine stations on the basis of a multi-puspose armored all-terrain vehicle. Compared with its predecessors, it has an extended frequency range of radio intelligence and electronic jamming. More powerful stations can more effectively influence various types of radio-controlled objects. 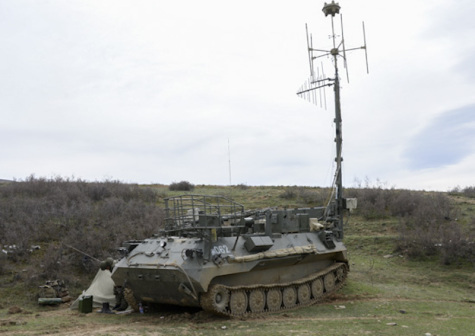 The Borisglebsk-2 can jam control channels of unmanned aerial vehicles, radio-controlled landmines of the adversary. The personnel of the EW unit has already been retrained to a new complex in the training center for EW troops and has begun to master the unique equipment. New equipment greatly enhances capabilities of the units and makes it possible to better master the experience of modern military conflicts.